As we start to get comfortably into 2017, it has been mostly good news for Australian farmers after new export markets have been opened up for fruit. First, it was blueberry and raspberry growers who were ecstatic at the completion of a brand new quarantine treatment. Normally, the Queensland fruit fly and other such pests have a habit of destroying a significant amount of these fruits each and every year. However, this new treatment should remove the problems of keeping the nutritional value and tastiness of the fruit. For many years, there have been significant barriers in the export market to New Zealand for Australians but this is just about to change after the former has allowed the new treatment. For the Australian farmers, they have a couple of companies to thank for this development – the Australian Nuclear Science and Technology Organisation as well as the NSW Department of Primary Industries. Without affecting the nutritional value of the fruit nor the quality, a low dose of the treatment will be given to blueberries and raspberries to keep the Queensland fruit fly at bay. After extensive research and development, the relevant parties have now found a solution that is safe and will open up the export market tremendously including New Zealand and even Indonesia (who has also accepted the treatment). However, it wasn’t just raspberry and blueberry growers who were celebrating, as there was also good news for the growers of avocado. 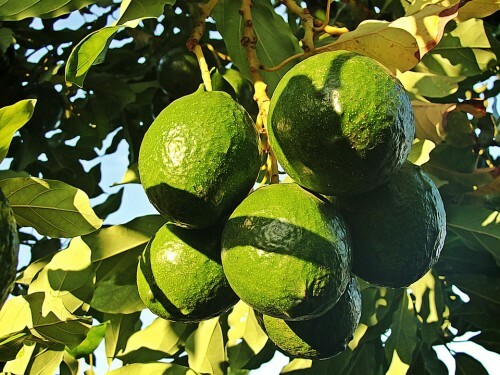 After negotiating a deal for many years, news has now been received that Japan will be auditing avocado export packers in Western Australia within the first couple of months of the year. Later in the year, towards the end of summer, Thailand will also be doing the same. For the avocado industry within Australia, this could be huge news because they are only currently responsible for 2% of the world’s exports of the fruit. Over the last couple of years, progress has been made in both Malaysia and Singapore which is likely to be the reason for Japan’s interest. For the next season, many industry experts are confident that both Japan and Thailand will be added to the list of countries to which they have market access. For many, the biggest question mark will be surrounding the Mediterranean fruit fly which is perhaps the main pest in Western Australia. However, research has already begun on how to resolve this problem and the findings are expected towards the end of 2017. Ultimately, this will allow the fruit to travel without the problem of pests. These two pieces of news will undoubtedly lead to a lot of positivity within the farming industry in Australia. As long as the necessary requirements are met, it looks as though exports will be improving in the coming years, which could have a huge impact on the Australian economy.